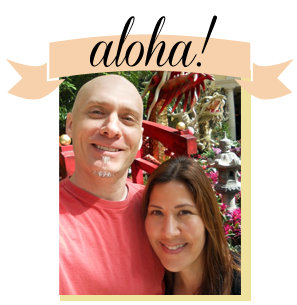 Yesterday's events took us to Waikiki on two separate occasions and at both events, Tiki cakes were the request. The first trek into Waikiki brought us to, of all places, Tiki's Grill & Bar, a most appropriate venue for our client's large sculpted Tiki Groom's cake. Rick designed a full-size sculpted Hawaiian Tiki playing the drums, and I thought I was walking in with a celebrity when we delivered the cake. :-) Nearly every guest of the party and several of Tiki's servers rushed over to the cake and starting taking photos, both with digital cameras and their cell phones. It's a miracle Rick was able to photograph the cake amidst the enthusiastic mob. This Tiki cake will be on our website in another week or two. 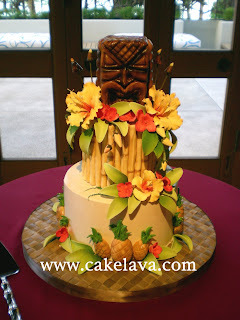 The second Tiki cake was delivered to the Halekulani Hotel's Hau Terrace, for Gwen and Josh's wedding. It was an intimate affair of less than 50 guests, flawlessly coordinated by Dianna Shitanishi of Hawaii Weddings and Events. Their colors were reminscent of a sunset in the tropics, with some rich browns and green accents. 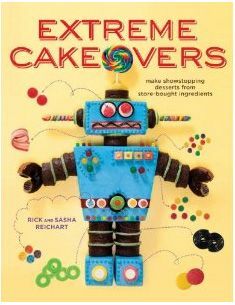 Their 2-tier khaki buttercream cake in Coconut Pineapple Chunk and Chocolate Dream flavors had handcrafted bamboo, hibiscus flowers, pineapples and custom Tiki with torches topper. Tables were named after the Hawaiian islands and displayed the prominent pineapple motif of the wedding. The gorgeous custom linens in dark chocolate brown and rich red were provided by Naomi Lee of Les Saisons. Guests names were held in place with little pineapple card holders, and Hawaiian lauhala boxes held each guest's favor. The always fabulous Debbie Hemingway of Designs by Hemingway provided the beautiful tropical floral designs throughout the room. Gwen and Josh's elegant sweetheart's table. I wish I had a closeup of their lovely floral arrangement .